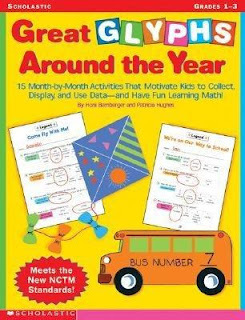 Marvelous Multiagers! : It Never Rains in Florida! Today we studied seasons and weather in Social Studies and made a foldable! 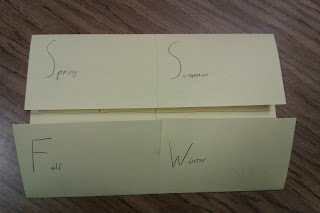 I don't do a ton of foldables but my class really loves them. I think they're into the little flaps, haha. They had to draw a picture of the season and then write a little something about the weather during that season. 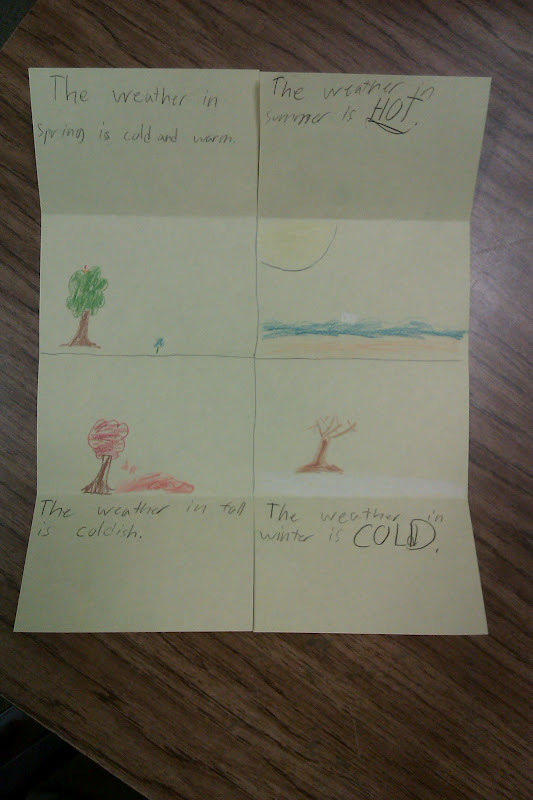 Part of what we learned today was that different parts of the country have different weather at the same time. We talked about how people from Illinois go to Florida during the winter because it's warmer there than it is here, and then I learned from my class that it NEVER rains in Florida! Isn't that interesting? 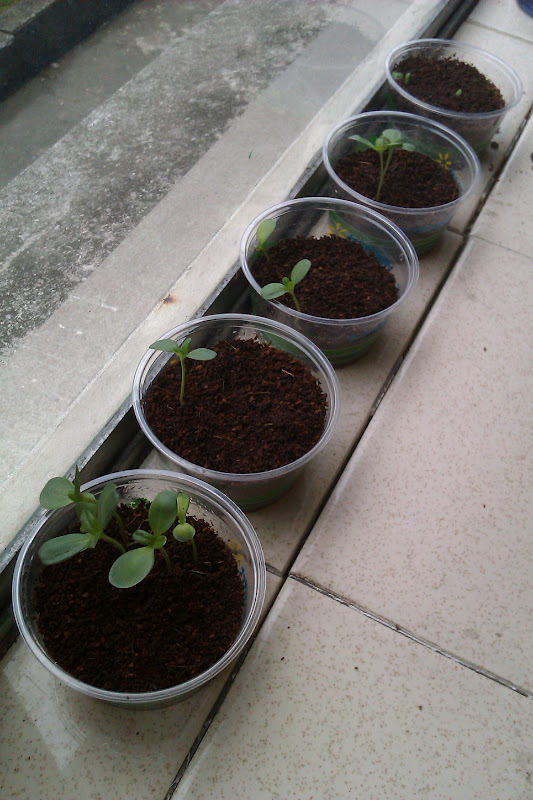 In other news, our little zinnias are coming up beautifully! 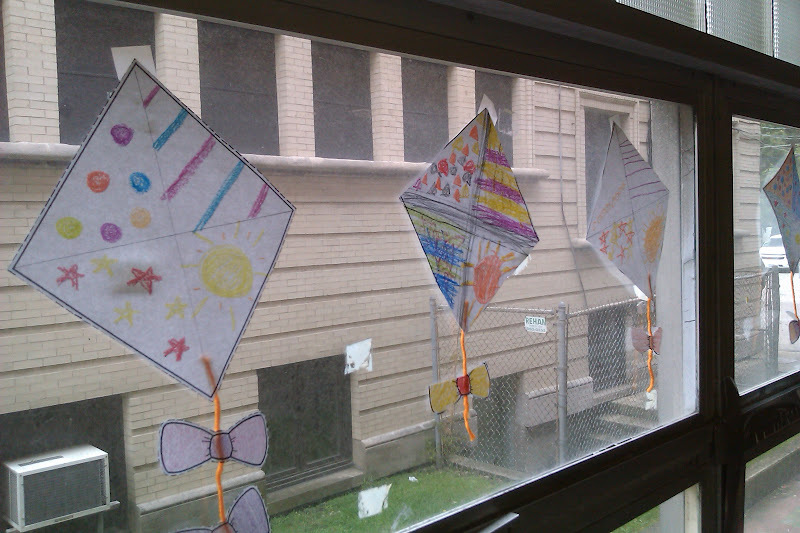 And while I was by the window taking this picture, I noticed our sweet kite glyphs that are making our room so cute! This glyph is from the Great Glyphs Around the Year e-book from Scholastic. I got it during one of the dollar specials and it is pretty sweet. I especially loved this particular glyph because there was no gluing involved! We have been totally out of glue since before Christmas... yikes. I laughed at Justin's smiling face! That is SO HILARIOUS!!!! Just love your post and the cute little plants! I love the "it never rains in Florida" statement! Unfortunately, we have had rain for days and it isn't scheduled to stop for a few more days! Yuck! Love the foldable! HAHAHAHAHAHAHAH! 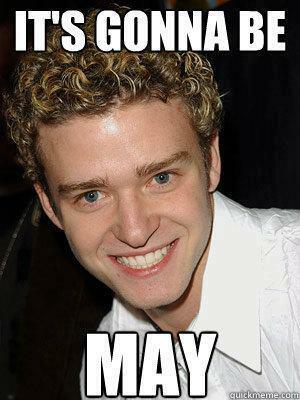 I loooooove NSYNC Justin and his curly hair!! !